Summertime is the best time to plan family fun days and just be out of the house enjoying the beauty of the world around us. It's important to Art and me for the boys to experience the culture of our home city, Los Angeles... because there's so much to do and see right here! We call it "adventuring" and we love to spend our weekends doing it! 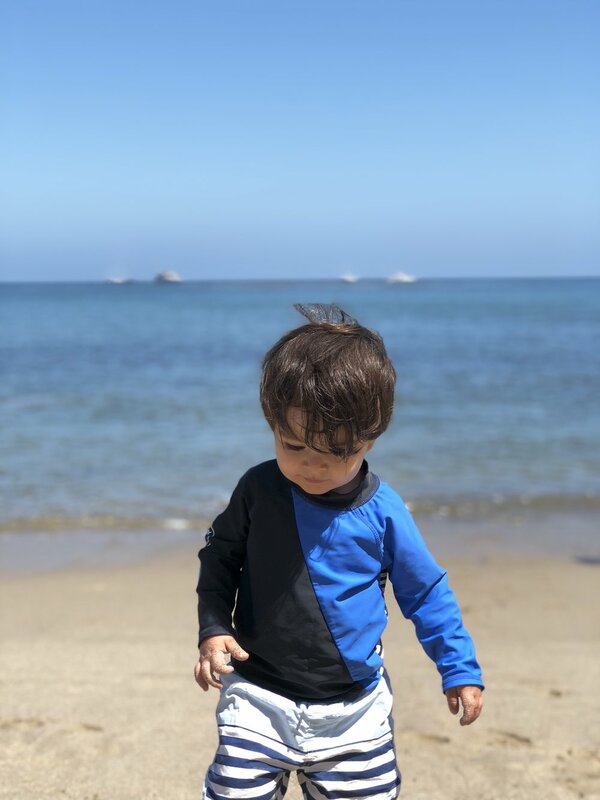 Summer means sun, and sun means heat, so you'll find that a lot of the places I recommend offer some type of water play which is key to keep your littles cool and happy in the summer... and, so you can avoid at least one type of meltdown ha! (P.S. make sure you pack sunscreen.. my personal fave for the boys is Goddess Garden Organics BABY Sunscreen). We love going here. It’s located in Pasadena, less than 10 minutes from our house. It has all kinds of stuff for the kids to get into and keep busy with... bonus, it's educational! The museum is a place of learning and discovery through hands-on experiences. It also encourages children to learn at their own pace. It’s great for kids up to 10 years old so it can be a go-to trip for years to come. They have 8 main exhibits that have mini-exhibits within to explore. This will definitely keep your kids busy for hours. In the summer, they offer outdoor water play, so be sure to take your kiddos' swimwear and towels. We're regulars at the LA zoo! The boys enjoy seeing all of the animals and playing with all the other kids in the play park. There's so much to see.. you can make it a different experience every time. We bought an annual family membership because it's worth it when you go as much as us. With a membership, we don't feel rushed and have to stop at every animal exhibit on each trip. We visit some animals, spend time at the play yard, and do a quick trip to the zoo store at the end.. I love the toys because they're educational and fun! The Family Membership is only $146 and it pays itself in only 2 visits, you can’t beat that. A few member perks are below, but you can see the rest here. My boys love going to the aquarium. They love anything to do with sharks and water, so there's lots to see and discover. They enjoy the water play areas situated on the outside of the aquarium. We especially love the Shark and Ray Touch Pool in Shark Lagoon where you're able to touch small animals and parts of the sea. A plus for families is that you can get your hand stamped and go in and out of the aquarium as you wish to take a break for lunch at Gladstone's (our fave there when we're with the kids) or have an ice cream on a walk on the pier overlooking the boats on the marina. Go strawberry picking before the season is over! We had a blast doing it this past weekend on Father's Day. It was something totally different from the things we normally do as a family, and it was so nice to do something away from the hustle and bustle and noise and enjoy some relaxing time on the farm... don't get me wrong, there's lots of fun to be had seeing all the animals, enjoying a special animal show, and getting into the games and activities on the farm, but this was the first time we did strawberry picking and I'd honestly go back just for that. Underwood Farms is also a fun place to celebrate birthdays and holidays. We go there every year at Halloween time for their awesome pumpkin patch. We love to hike the Solstice Canyon Loop Trail. We're a family that loves to get outdoors. We do things in nature when we can and as long as it's safe for our littles. This particular hike is a beautiful and not so difficult one to wear your little ones on your back and get a nice workout in plus enjoy nature with. There's an incredible view of the water at the start of the hike. We love to stop at the Malibu Seafood Company on PCH for fish tacos after hiking. Malibu beach is our fave local beach! When we're not in the mood to hike, we'll grab takeout from Paradise Cove Beach Cafe and enjoy it on the beach. 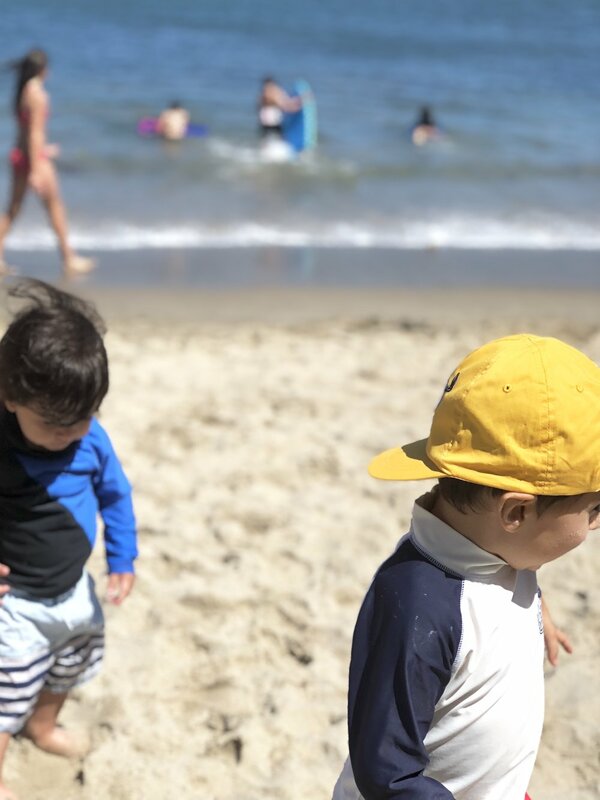 The boys love chasing waves and seagulls, and building sand castles. There's shaded umbrella seating and towels available for rent right outside of the cafe which is super convenient when your with kids. Cool off in an air conditioned space! Au Fudge is THE spot to celebrate all of your big family milestones and enjoy playdates where mamas can have fun too! I just checked out their calendar for the summer and it is packed with so many activities for kids of all ages… they even have an Au Fudge CAMP (Center for Art Music and Play) for children ages 4 months to 8 years that is centered around play and the magic of childhood. For part of our celebration for Ryan's first birthday, we had a family lunch and play time in their awesome play room. They brought out the sweetest personalized birthday cake for Ryan! See more from our fun visit here. Who can forget about Disneyland! Y'all already know I love taking the boys here… it just screams childhood to me. Even though the boys are still little there is so much for them to do. Can you believe there are over 30 attractions that they can experience? And with annual passes, we don't feel guilty spending only half a day there, for example, or if we only get on one ride and watch a parade, that's ok by me! Catch more fun from our Disney trips here. This will be a place we cherish for years… who am I kidding, it’s still magical for me as an adult. Don't forget to take time as a family this summer... and take lots of pictures, it goes way too fast! Mamas let us know, in the comments, your favorite family spots to go to with your littles in the summer.